On Wednesday, NICE acquired WorkFlex, a provider of intraday management software, with the goal of evolving its adaptive workforce optimization (WFO) and workforce management (WFM) offerings into what it calls its Adaptive Workforce Engagement portfolio. 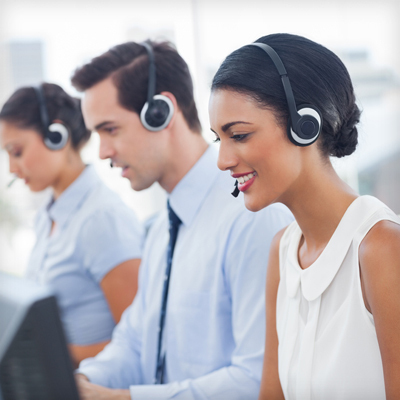 According to Omri Hayner, general manager of the WFO line of business at NICE, the Israeli company is now better equipped to help customer service organizations improve employee retention rates while adjusting their contact center operations on the fly. Introduced in 2009, Workflex’s technology is designed to help businesses tackle the day-to-day complications and issues that arise within their contact centers, including unanticipated changes in staffing caused by illnesses or unexpected crises, and to do so with minimal administrative overhead. According to Donna Fluss, founder and president of DMG Consulting, WorkFlex’s technologies exceed the intraday management modules found in traditional WFM bundles in that they “not only tell a company that it has a problem, but propose a way to fix the problem.” For instance, rather than just notifying a company that they’ve been experiencing high call volumes, poor service levels, or a lack of workers, WorkFlex’s modules enable supervisors to find employees when needed and give employees the ability to schedule for themselves, all within an engaging mobile environment. Fluss says that the acquisition is a good one and isn’t surprising coming from a company like NICE. For “intraday management to be effective," she points out, "it’s really got to be together with a workforce management product." WorkFlex's intraday management capabilities will now be available in the Adaptive Workforce Engagement solution within NICE’s Adaptive WFO suite. Compatible with cloud-based or on-premises workforce management solutions, the system allows employees to control their schedules, exchange shifts, report absences, and set other preferences, while notifying managers of any changes. Using artificial intelligence and machine learning algorithms, it can give managers access to analytics related to intraday optimization. They can see, in real-time, whether they are under- or overstaffed. The system combines this capability with dynamic scheduling options that enable agents to create flexible hours while keeping the company on track with its goals and KPIs. Gamification and reward options are also available, to give employees an incentive to resolve understaffing, overstaffing, and schedule conflicts. Solution helps organizations optimize staffing levels based on real-time demand. The partnership leads to the advanced integration of WorkFlex and Verint Enterprise Workforce Management for contact centers. NICE CXone WFO brings workforce optimization to Amazon Connect users. Machine learning is added to NICE's Robotic Automation platform for customer service.